• Raises your laptop screen to eye level to help prevent neck strain. • Adjustable tilt for customised viewing angle. • Stabilising front edge prevents laptop from sliding off stand. 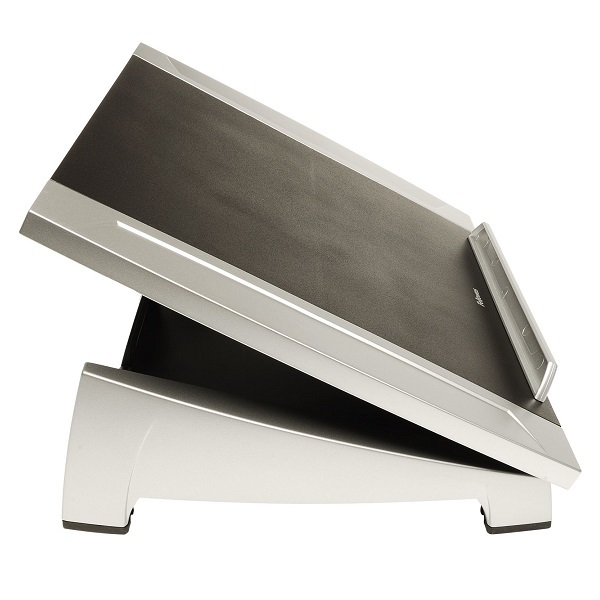 This Fellowes Office Suites laptop riser features 6 angle height adjustments from 140-190mm and an adjustable tilt for optimum viewing, and maximum comfort at your desk. The riser is for use with laptops up to 17 inches and has a maximum weight capacity of 5kg. The riser also features non-skid rubber feet and a stabilising front edge to help keep your laptop secure. 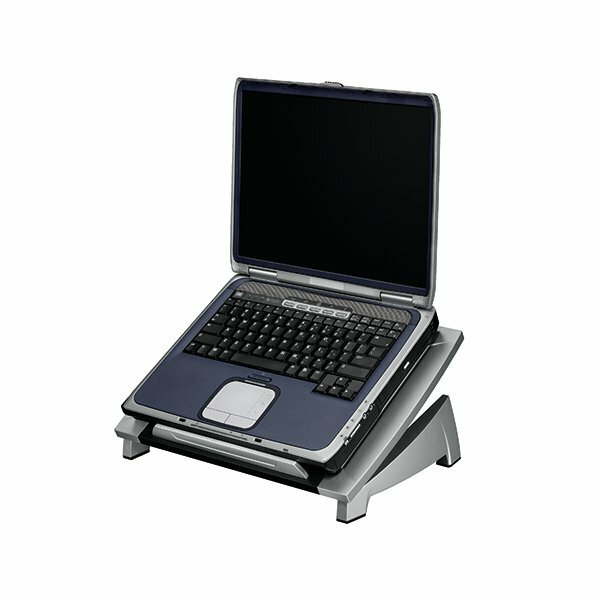 This laptop riser measures W383 x D267 x H165mm and is compatible with BS EN ISO 9241.